Despite of the moderately negative prognoses for 2017, the beer market can be stabilized soon. Yet the years of the negative dynamics have resulted in marketing being limited just to “optimization” and the art of balancing between price and volumes. Bigger supermarkets share means stronger trade marketing. These processes are connected to the majority of the described trends. At the same time, the federal brands inflation leads to searching for new tastes, sales channels and contact formats that expand the product range and diversify the beer market, but do not imply a substantial volume increase. 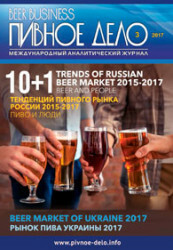 Let us enumerate and further discuss the ten trends of the beer market we can see in 2015-2017 as well as the major event of 2017. 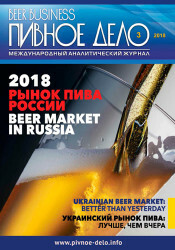 In the first half of 2017, the Ukrainian beer market goes on decreasing slowly. Yet, the companies manage to compensate their lost volumes by raising prices and improving the sales structures. This results in the mid price market segment reduction while the sales of premium brands are rising. 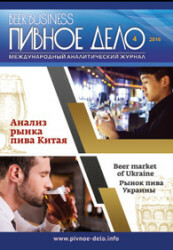 These processes are connected to position strengthening of companies Carlsberg Group and Oasis and the market share reduction of Obolon. 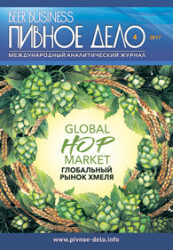 Most of the novelties by the market leaders belong to craft or hard lemon categories. 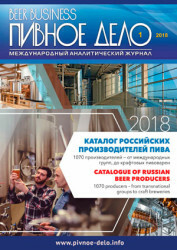 The beer market of Russia was warmed up by the hot summer, but the preparation for large volume PET prohibition has already impacted it negatively. 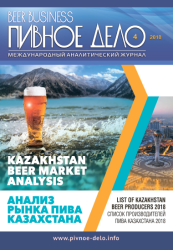 The year was successful for Efes, MBC and regional producers; Carlsberg’s positions were virtually stable but AB InBev and Heineken lost a part of market share having focused on the sales profitability. The dynamics of big brands was determined by how much the companies were willing to keep the prices down or by their promotional activity. 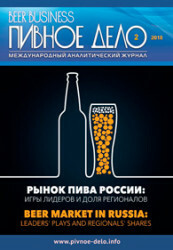 In this context the economy segment of the beer market and sales of inexpensive draft beer were increasing. The premium segment started shrinking due to license brands migrating to the mainstream segment. Vietnam is one of the few big beer markets that continue to grow steadily. The beer popularity results from its low price, street consumption culture, and social motives. 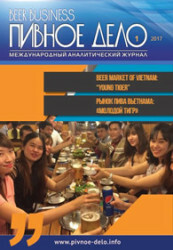 The outlooks of beer market as well as the Vietnamese economy inspire optimism, though the country is heavily dependent on export of goods. The state regulation can be called liberal, but the key risk for brewers is harbored in intensive rising of excise. Within TOP-4 there are two leaders, Sabeco and Heineken that grow at the fastest rates. 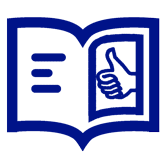 The first company effectively employs its capacities, the second one focuses on marketing technologies. Almost 80% of the market belongs to century-old brands, yet the middle class and the youth are shifting their interest toward international premium that is growing taking share from the mainstream. 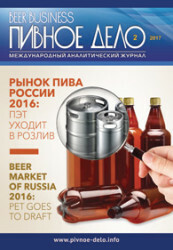 In 2016, fast increase of excises and resulting price spike stood in the way of the beer market stabilization. Most of competition (as well as mass sorts) moved to the economy segment of the market. The biggest losses were incurred by the leading three, especially Obolon, which again experienced pressure after reallocation of Efes market share. However, one should already speak of TOP-4. 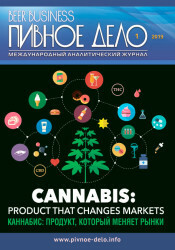 Group Oasis CIS (PPB) became a strong player and competitor to transnational companies. Besides the net sales of many regional medium breweries look rather good and 16-fold cost reduction wholesale trade license for craft brewers opens up a possibility of rapid growth in 2017.